Benjamin Britten (born in Lowestoft, Suffolk, UK, died in Aldeburgh, Suffolk, East Anglia, England) was a famous Composer from England, who lived between November 22, 1913 and December 4, 1976. He became 63 years old. 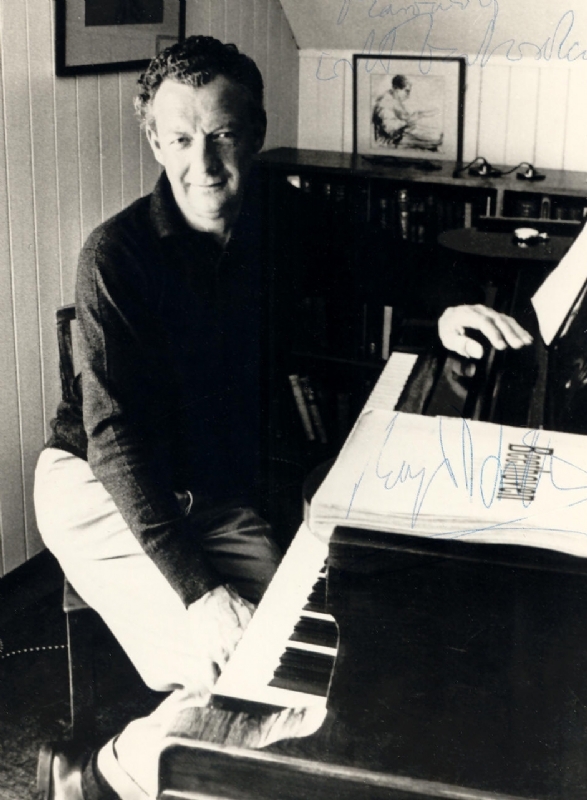 Edward Benjamin Britten, Baron Britten was a British composer and conductor. In 1945, he was known at the opera Peter Grimes. Opera Church Parables, taken its inspiration from Japan. His last opera was Death in Venice, which is based on the book by Thomas Mann. One of his most famous orchestral works are Variations and Fugue on a Theme of Purcell, or more commonly known as The Young Persons Guide to the Orchestra. This is considered to be a tribute to Henry Purcell, and is used in music teaching. Lachrymae subtitled Reflections on a Theme of Dowland, is a tribute to John Dowland. The work was arranged by Britten just before he died. Matinée Music Ales is built on Gioacchino Rossini's music. Simple Symphony is based on melodies Britten wrote as a child. 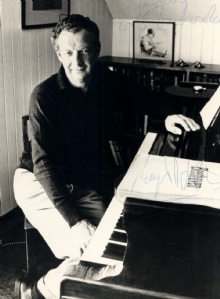 He wrote several songs for the tenor Peter Pears, who was also his lifelong partner. In these songs, he set such as music to the texts of several English poets, but poets like Thomas Hardy and Michelangelo. He also made arrangements for various folk songs. His String Quartet No. 2 was inspired by Henry Purcell and was posted to 250 anniversary of Purcell's death. His War Requiem, Opus 66 from 1962 is one of his most acclaimed works. This is a non-liturgical requiem for soprano, tenor and baritone soloists, choir, boys choir, organ, and two bands (a full symphony orchestra and a chamber orchestra). The play runs for about 85 minutes. He is born under the zodiac sagittarius, who is known for Philosophical, Motion, Experimentation, Optimism. Our collection contains 5 quotes who is written / told by Benjamin, under the main topic Music. "These two are not two Love has made them one Amo Ergo Sum! And by its mystery Each is no less but more"
"Composing is like driving down a foggy road toward a house. Slowly you see more details of the house-the color of the slates and bricks, the shape of the windows. The notes are the bricks and the mortar of the house"
"The old idea of a composer suddenly having a terrific idea and sitting up all night to write it is nonsense. Nighttime is for sleeping"